I left a patch of wildflowers in the yard (yard is loosely used here as it is mostly weeds, wildflowers and rocks anyway). I noticed that a rather strange-looking stalk and flower head had grown up from this little Coreopsis lanceolata, or Tickseed. 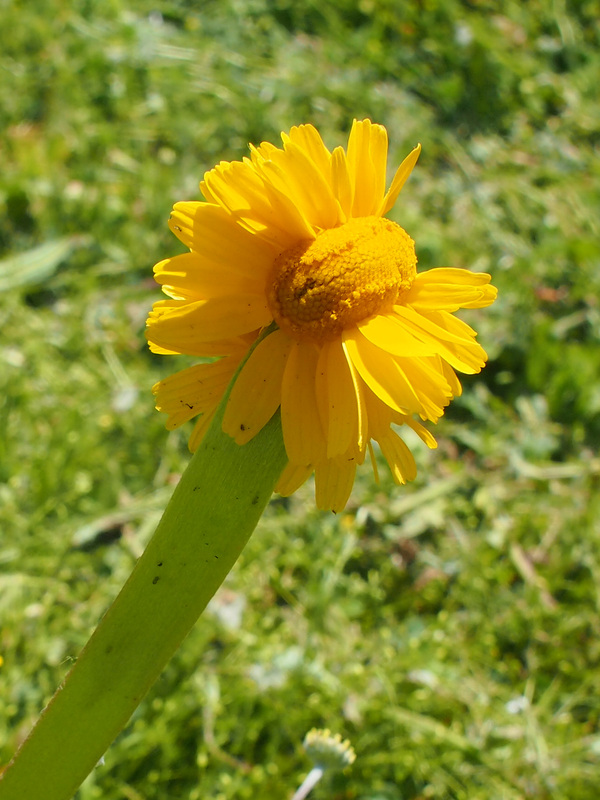 The flower stalk is usually round and very thin and delicate looking with the flower shaped similar to a sunflower. 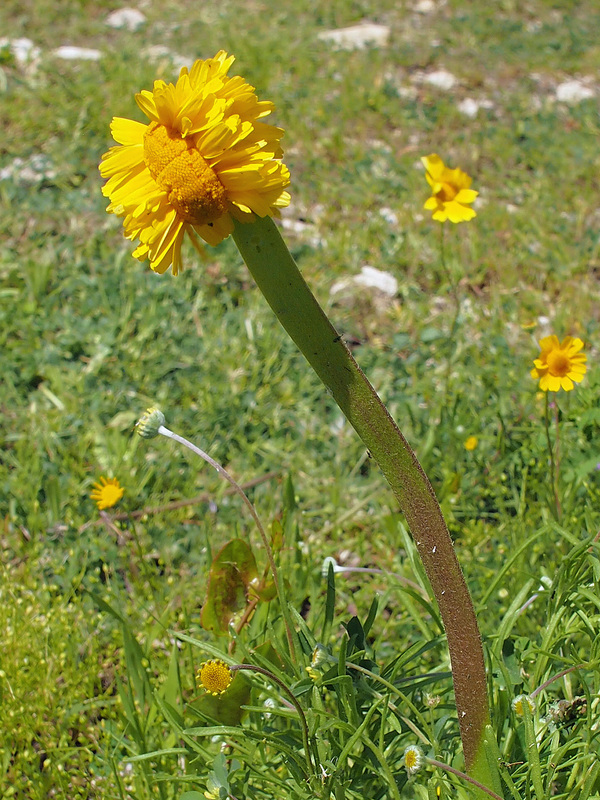 This stalk is thick and flat like a ribbon and the flower head is rounded over as if multiple flowers are growing together. 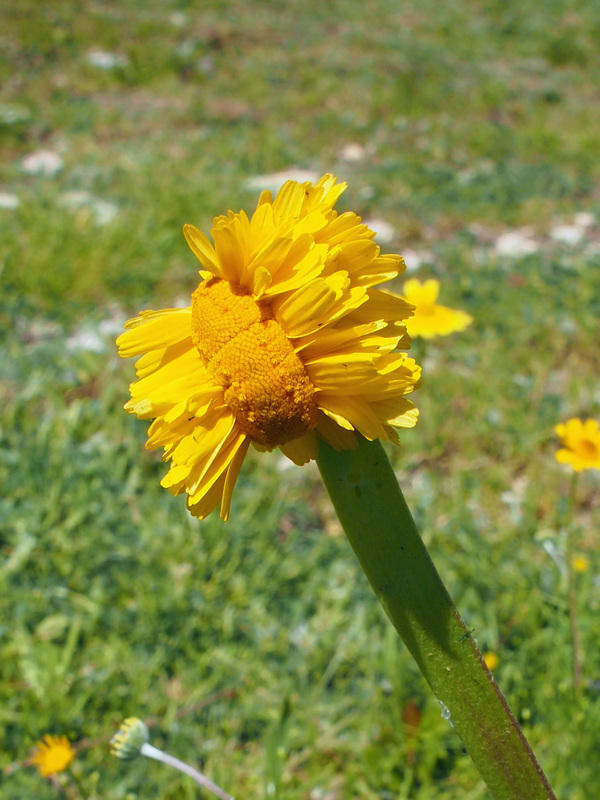 I have seen other wildflowers with the flower head in various mutated forms, but not like this.